Qantas, the national airline of Australia has been promoting the new 'Disney Planes' film which will come out in September. 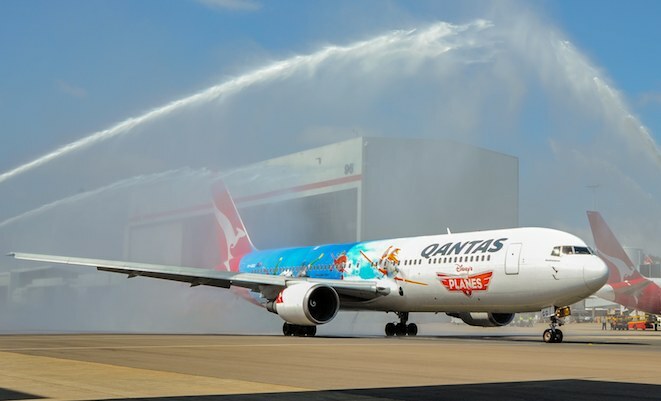 As the official partner to Disney Planes in Australia, they have repainted one of its aircraft in its fleet, VH-OGG, a Qantas B767-300ER to celebrate the release of the new film. Two of the world’s greatest brands team up for a movie premiere in the sky to provide 254 lucky passengers a once in a lifetime experience. The premiere was held at 30,000ft in a Boeing 767 aircraft that had been decaled with animated Disney characters. Disney and Qantas share a long term bond with Australian families and a passion for innovation and excellence. 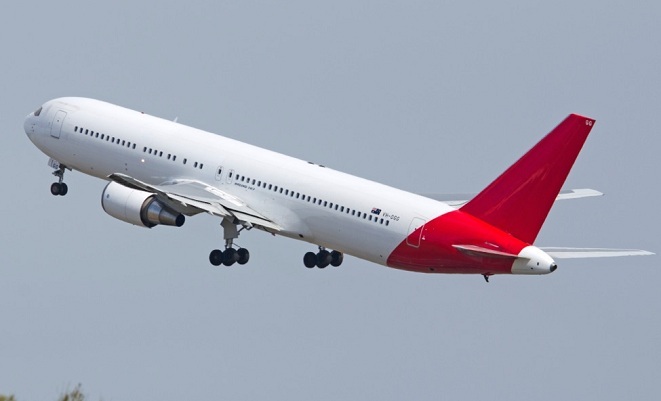 Qantas 767-300 VH-OGG has been retired after 23 years of service with the flag-carrier of Australia, Qantas. The 767, named City of Rockhampton had previously flown with the Disney Planes Livery painted onto the fuselage of the plane with it featuring the new release of 'Disney's Planes' film. Now the aging aircraft has been retired and has flown from Sydney to Los Angeles before continuing on its final flight from Los Angeles International Airport to Southern California Logistics Airport in Victorville in the United States. VH-OGG was delivered to Qantas back in 1990 and the aircraft made its last commercial flight as QF454/QFA454 from Melbourne International Airport to Sydney Kingsford Smith International Airport. The aircraft now wears a white coloured fuselage and a red, blank tail which originally carried the 'Flying Kangaroo'.